Five-time GRAMMY winner and New York Times bestselling author, Wynonna has always revolved her career around telling stories. 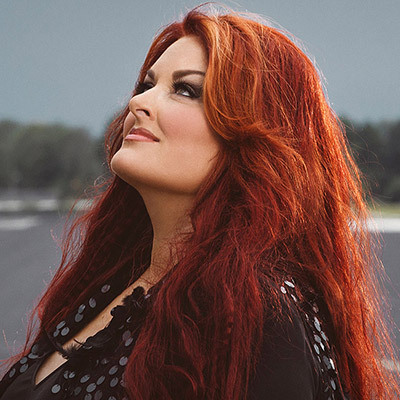 Whether performing alongside her mother as one half of the legendary country duo The Judds, or pushing the boundaries on her own mega-successful solo path, Wynonna’s ability to reach the heart of the human spirit through her bold and unflinching honesty, is the entertainer’s true gift. Wynonna is a proud humanitarian with a long history of charitable involvement and philanthropic work. She has received the USO’s Merit Award for service to all United States Armed Forces divisions, as well as the GI Spirit Award for her patriotic work in support of the troops, the Wounded Warrior Project, and various war veterans’ groups. Teaming up with Habitat for Humanity to record “Heart of America” with Michael McDonald and Eric Benet, she helped raise over $90 million for victims of natural disasters to the Gulf Coast. Wynonna is an active member of the American Red Cross Celebrity Cabinet, and was a 4-year United States Ambassador for YouthAIDS. She has made innumerable appearances and performances benefiting such causes as the American Red Cross, St. Jude, MusiCares, Vanderbilt Children’s Hospital, The Oasis Center, Steps of Faith Foundation, and more.